Raining in Wengen this evening, wonder if that'll help or hinder the avalanche risk. Rain makes the lying snow heavier, so increases the risk. Still no trains or cable car up - unsurprising really, it’s snowing and blowing a hoolie. Huge avalanche from the Lauberhorn shoulder over the railway earlier this morning. 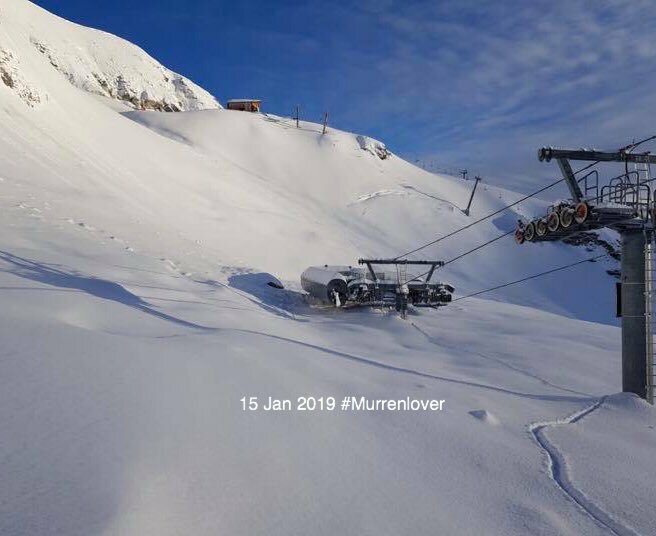 All closed in Murren too. Earlier, the only lift working was the Winteregg chair but you had to train it there !! @telfordmike, was that a natural slide or did they blast it? We certainly heard several blasts down in Lauters this am. The first one at around 0550, no need for an alarm call! Didn’t hear a bang, so I'm guessing natural. Conditions look to be improving today. Should be great for the downhill at the weekend. Any places on the mountain, in Wengen, where one can fill a water bottle? @Chris Brookes,Whoa! Is that the lift that goes back up to Birg? Lol, there's a couple of pistes under there somewhere! Bit of digging to be done there! @Bodeswell, yes, that's the lift. Birg/Schilthorn closed today while they dig out the chairlifts up there. All back to normal tomorrow!! Now wondering how long it will take to get the pistes up and Birg open again. Looks a bit of job to me. Just refreshed and seen Chris Brookes' answer! Amazed they will get it open for tomorrow. Loos in the cable car stations are favourite. Stunning day, snow great everywhere. Still avi 4 so take care. The stretch of road between the swimming pool and the Park hotel is closed, as is the upper part of the nursery slope. 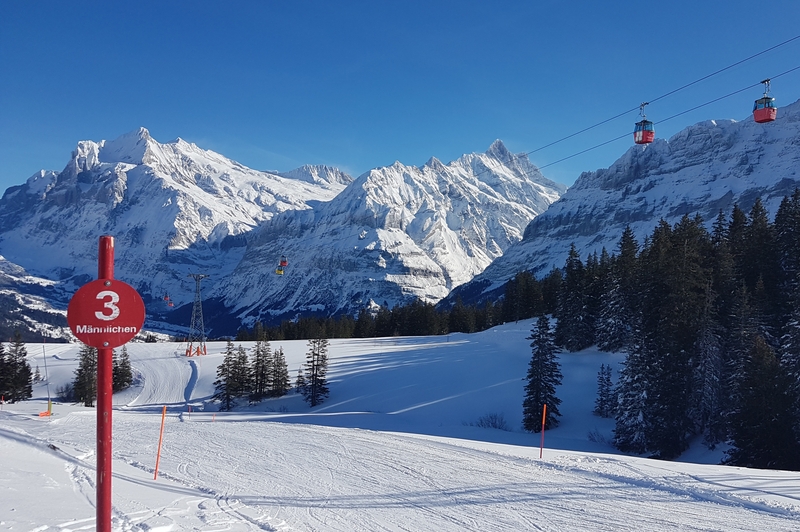 Lots of racers arriving for Lauberhorn at the weekend. Let the craziness begin! Another sunny day. Skied down to Aspen for lunch. Not a soul around, and lunch was great. 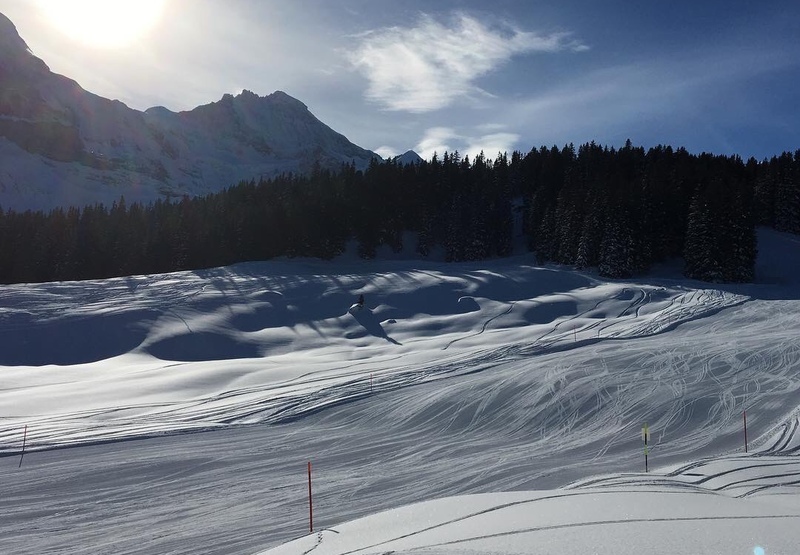 The piste is soft up at the top and gets progressively firmer as you lose height. Both runs from Aspen down to Grund are open. 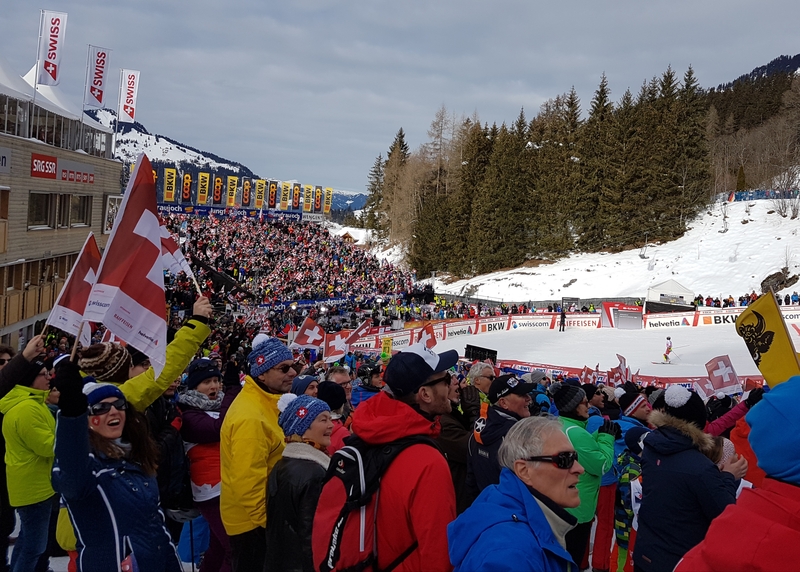 Busier on the Wengen side owing to racers etc. Just 10 sleeps until we arrive. Can't wait. I'm surprised that so many runs are still showing as closed, particularly Wasser Wendi, the 2 Gummis and Eggboden. Any idea why, especially as so much additional fresh powder has fallen? And well done to the crews at Brig for getting all those runs open. Wasserwendi was being prepared today. 2 avalanches have fallen right across Gummi Nord - there's a lot of snow still to come down from Tschuggen. It's very quiet so plenty of room for everyone. This is a bit niche, but is the run from behind brandegg (over the train track) down to the river open this year yet ? Assuming you mean the run down to Grund - yes, there are cannons all the way down that run now so it’s pretty reliable. Cloudy today and it snowed all afternoon. 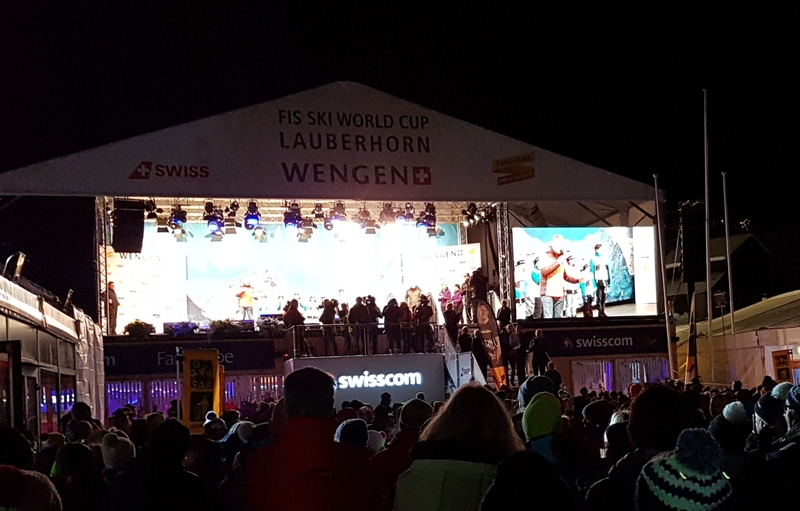 The Lauberhorn races are upon us, and tonight we watched the bib draw for tomorrow’s Alpine Combination. That stage is about 30 metres from our house. It's going to be a noisy weekend. Just read a post on twitter that the downhill has been rescheduled, from Saturday to tomorrow. Is that confirmed? If it has been changed has anyone any idea why?? @Baggiesfan, Can't be, the forecast is good. I think they're just switching the slalom and downhill segments of the combined for tomorrow. Not the main event. 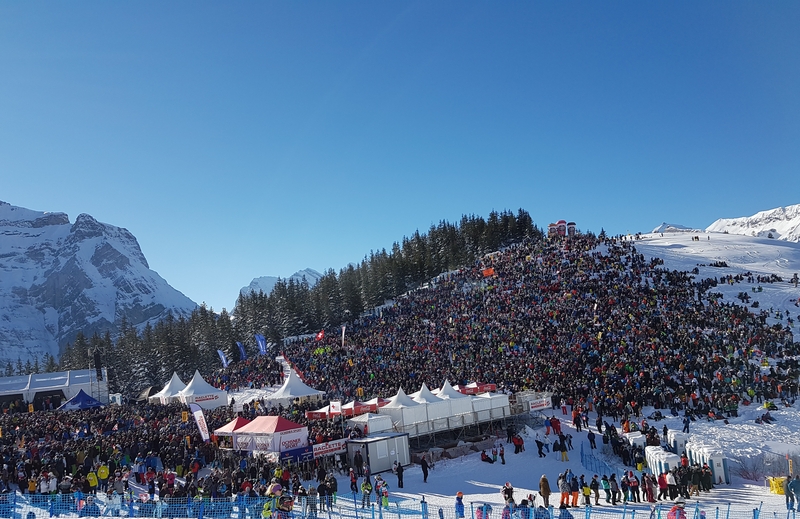 I have been told the finish line for the Inferno Downhill this year will be Lauterbrunnen !!! That was a good day at the races. Great atmosphere and excellent racing. There’s a rumour going round that we might not have a Combination race next year. Shame, I think it’s a really good format. 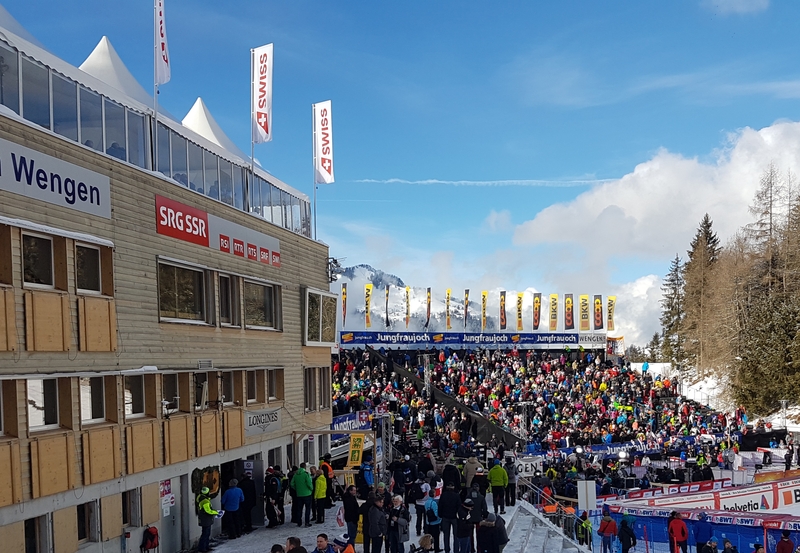 I'm currently watching the Men's Downhill live on the German TV channel ARD - the conditions look great, plenty of snow, blue skies and sunshine. Cracking slalom, Dave Ryding 8th! Of 74 starters, 33 crashed on the first run - carnage!